Fingers are delicate little things, and it doesn’t take that much to break one. However, that doesn’t stop it being any less painful or inconvenient - and if it was caused by someone else’s negligence, then it hurts that little bit more. If your finger was broken or fractured in an accident that wasn’t your fault, then we might be able to help you make a finger injury compensation claim. To start your broken finger claim, simply use the free calculator below, choose your options, and find out how much you could be entitled to. It only takes a moment and could genuinely change your life - begin your broken or fractured finger claim right now! Which part of your body? Which part of your ? Your information is as safe as houses. We do not cold call. 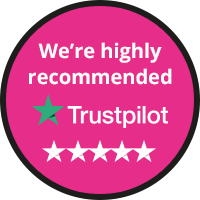 We understand confidentiality and will only share your information with our panel solicitors if you say that we can. Figures are based on the 12th Edition of the Judicial College Guidelines and are for guidance only. Calculations are based on injury compensation only. They do not include any loss of earnings or financial losses. Please contact us for further advice. *Enter your mobile number to obtain a valuation of their claim by text. 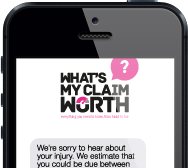 This is the only text message sent by What’s My Claim Worth and will appear on the users phone as having been received from "Claimometer". Great news. We have a dedicated team for Industrial Deafness claims. We are redirecting you to our website What's My Deafness Claim Worth. If you are not redirected within 3 seconds, please click here. No problem, when shall we call? Please call me back at.. Thank you for using the Claimometer, please enter your details to get an on screen valution. We will also send it to you by text.